One of my 2015 goals is to be healthy and two months into the year, I have maintained my healthy lifestyle by fitting in more exercise and eating more organic. I've been eating more servings of veggies and fruits as part of my daily diet and love how I have been feeling. One of my favorite "foodie" discoveries is the brand Plum Organics. 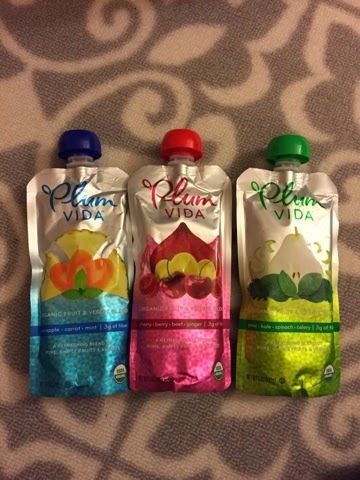 I see them everywhere at Target and one of the first products I tried is their Fruit & veggie blends- Plum Vida. These convenient pouches have half a cup of your fruit & veggie servings and make a great snack. I throw one in my lunch bag and eat it after lunch. I usually buy a variety to mix it up but my fave flavor is the Cherry/Berry/Beet/Ginger one. I love the fruity sweet flavors mixed with ginger! 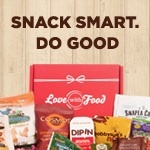 What's great about Plum Vida snacks is that the ingredients are non-GMO, all organic and have food you can actually pronounce! Plum Organics also have other snacks such as oat bars that I'll be trying out soon. Stay tuned for more reviews! Check out www.plumorganics.com for more products and check your nearest Target or retailer for your favorite Plum products!